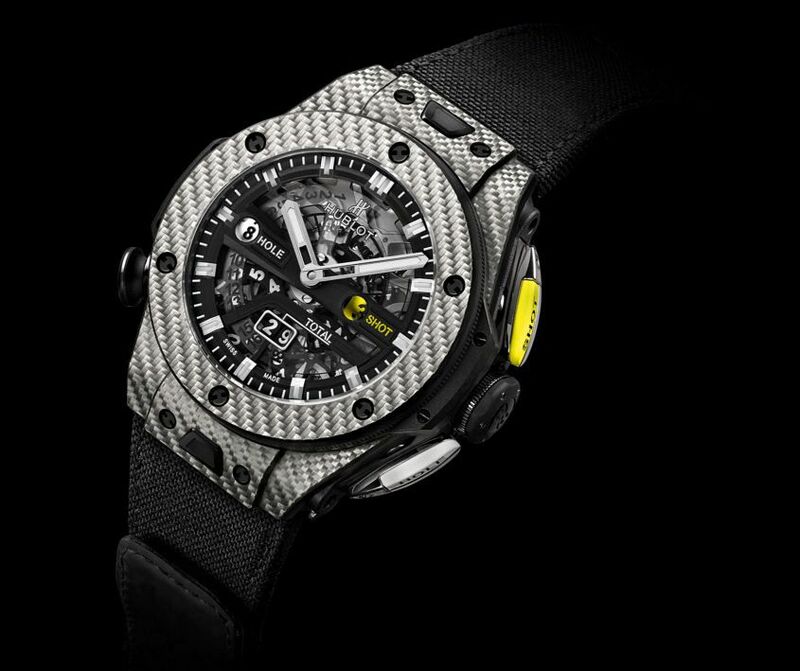 Hublot take their motto – The Art of Fusion – very seriously. It’s an ideology we’ve witnessed them bring to life ever since their very first watch, which combined a gold case with a natural rubber strap – the likes of which had never been seen before. It’s also an attitude that has allowed for some extremely esoteric partnerships. From French contemporary artists, all the way to synth-rock band Depeche Mode. This year they’ve joined forces with world number one golfer Dustin Johnson. And created a watch specifically designed for golfers to calculate and keep track of their scores. 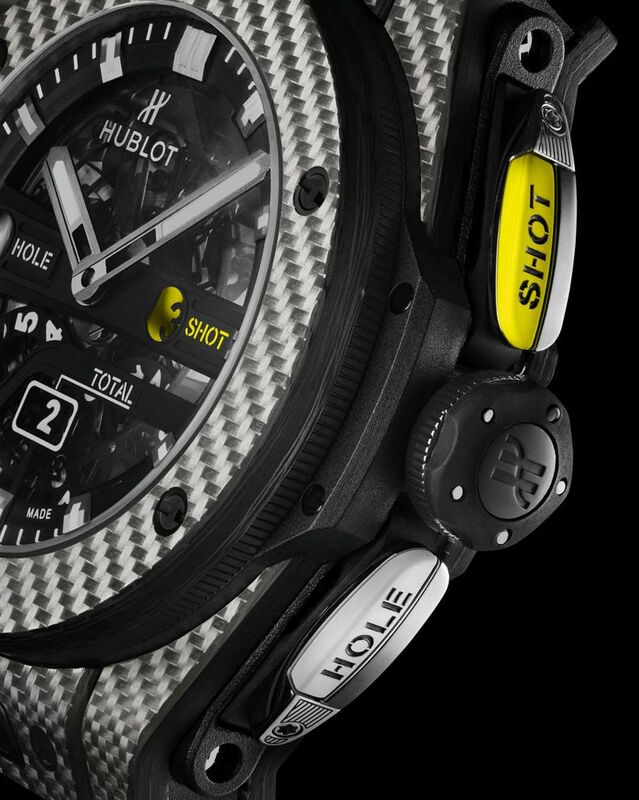 To manufacture the very first mechanical golf watch with an aperture display, Hublot began with the 45mm case of the Big Bang Unico and constructed it from an amalgamation of carbon fibre and aluminium – called Texalium and made exclusively for Hublot. The result is a watch with 100m of water resistance that weighs a mere 97.93 grams. And one with a finish that resembles the familiar texture of a golf ball. 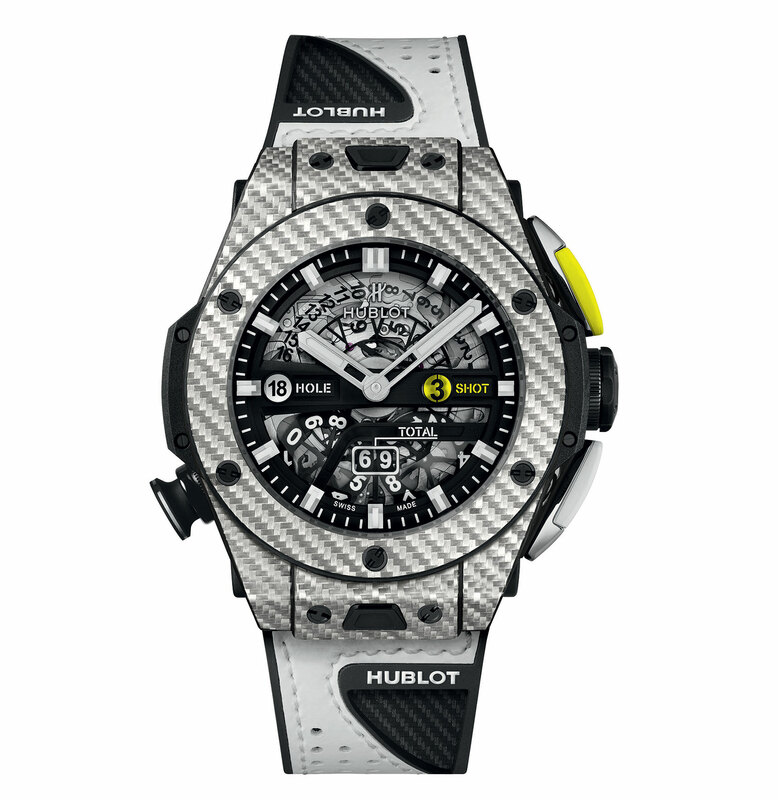 Hublot have never been one to take par for the course. And on the inside, they’ve fitted a brand-new module to form the newly complicated MHUB1580 in-house movement. Which features return-to-zero heart-shaped cams that ensure the counting mechanism is reliable and robust. And although the Big Bang Unico Golf may resemble a chronograph, the three pushers around the case actually bring the scorecard dial to life by controlling each of the three labelled dial apertures. The putter-shaped pusher at 2 o’clock activates the tally of shots per hole. The pusher at 4 o’clock adjusts the 9 o’clock display to the next hole and zeros the previous number of strokes. While the counter at 6 o’clock keeps track of the total number of strokes per game. The final tee-shaped pusher at 8 o’clock resets all three displays at the end of your round and can be locked during play by rotating it 45°. In true Unico fashion, the complicated inner-workings are also on full display through the skeletonised dial. 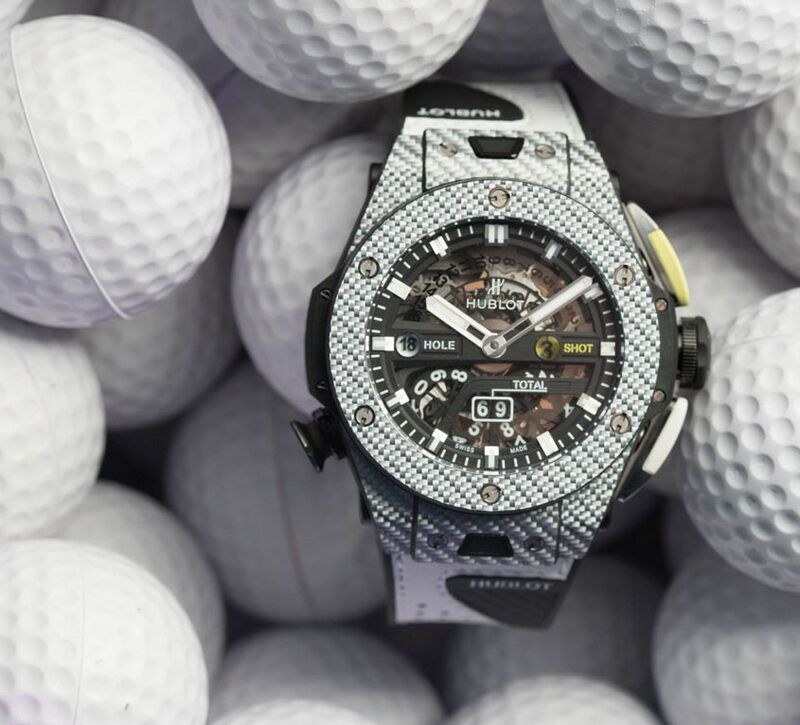 The Big Bang Unico Golf will also come with two interchangeable straps. Both fitted with the Hublot One Click System. One is designed like a golf glove and made of white leather sewn onto black rubber. While the other is made of a more technical material with a Velcro fastener to ensure a perfect fit. There’s no doubting this is a very specific complication for a very specific group. But you can’t help but admire Hublot’s innovative spirit of fusion.